The Altai breed has a very unique pattern to their coats which makes them easy to point out. 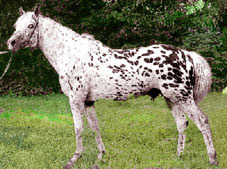 Some have a spotted coat that can be white and black similar to a cow pattern. They also have a large amount of muscles throughout their bodies great for running, particularly over very rough terrain. They are mainly used for pack, harness, and trekking purposes. 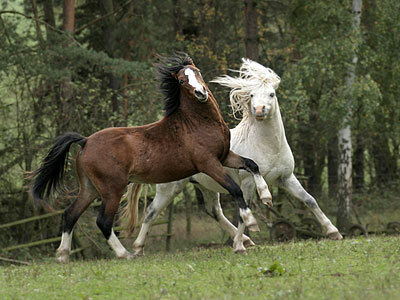 The Altai horse is considered one of the more docile breeds. They are friendly and trainable without any major issues. 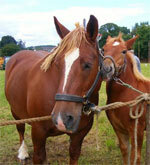 Considered to have a fair and easy going temperament, these animals are good for harnessing and being on farms. They can withstand bitter temperatures and are very strong creatures. Measuring in at around thirteen hands in size, the Altai horse is one that bodes a larger head than some of its sister breeds with what is referred to as a 'dished' profile. They have many variations of coats, from chestnut to their unique spotted looks. Feet are dark horn and hard with short legs that are well set. The neck is fleshy and short, but also very strong. Backs have a common look of being shallow or dipping in the middle and are very long in length. Looking after an Altai horse is not too challenging. They can be very simple animals to maintain, as for decades, if not centuries, they were used as a means of transportation in the mountains. They are not prone to any major illnesses and enjoy having miles of land to roam around. Smaller than the average horse, the Altai breed is one that can endure quite a bit of weather, traveling long distances and even without food for extended periods of time, making them a simple breed to own. 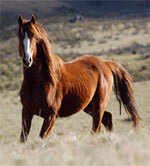 Coming from Central Asia, the Altai horse is one that has been a staple in the nomadic lifestyle for hundreds of years. 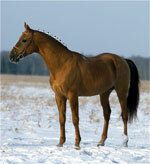 They utilized these animals for transportation in the coldest of winters all over Asia, especially the Kazak horsemen. The very durable animals had the ability to walk surefooted for miles upon miles through the mountains and some torturous weather conditions. Researchers have had quite a struggle trying to locate enough historical information on this particular breed. 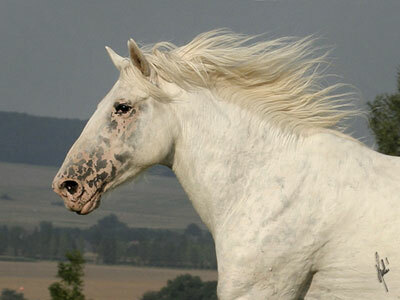 They have been noted in the Appaloosa area, where some have felt they may have had some Oriental influence, but they have not. Some believe they have been a crossbreed with the Russian Heavy Draft animals as they are well known for being a powerful type with immense strength. These resilient creatures have been able to survive the harsh weather conditions, to live successfully on farmlands, to graze properly. Many years ago, they were heavily bred for their many uses to nomads and members of the tribes that needed a means to carry heavy goods and get around the grounds. Some would say that these Altai horses were so useful to their tribesmen that they were indispensable.